Surf, sand, and sun! She'll love the sweet style of the Billabong® Kids All Along Crossback Set. 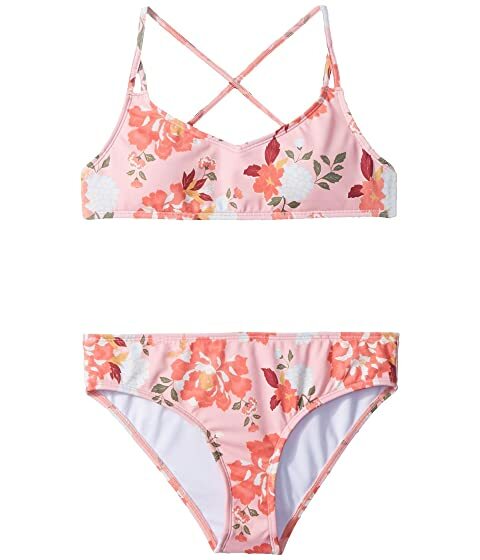 Two-piece, fully lined bikini swimsuit in a light and lovely floral pattern. Narrow shoulder straps crisscross at back. Removable, soft cups in sizes 12-14.